Multidrawer Cabinet 1F3E on the Left and Multidrawer Cabinet 2F on the Right. A useful desk high cabinet. 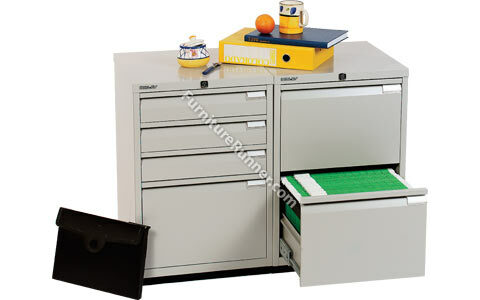 • Choice of either 2 drawer filing cabinet or 3 + 1 drawer cabinet. • Fully locking. • Cabinets are fitted with an anti tilt facility.